Let someone else do the walking while you sit back and take in the sights on a horse track. 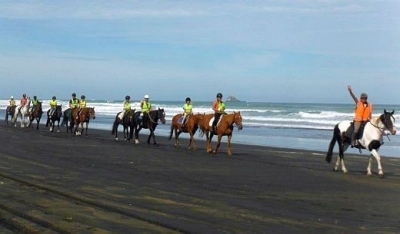 Join the guides and the friendly horses on a relaxed and fun trek. Wander through the relaxing pine forest and out onto Auckland’s black sanded Muriwai beach, over rivers, dunes and out into the surf. 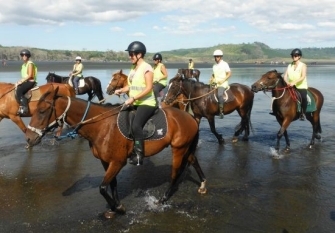 This activity is run by About Riding, one of the best horse riding treks in Auckland with competent and qualified horse trainers and guides. Price includes return transport, lunch and guided tour.